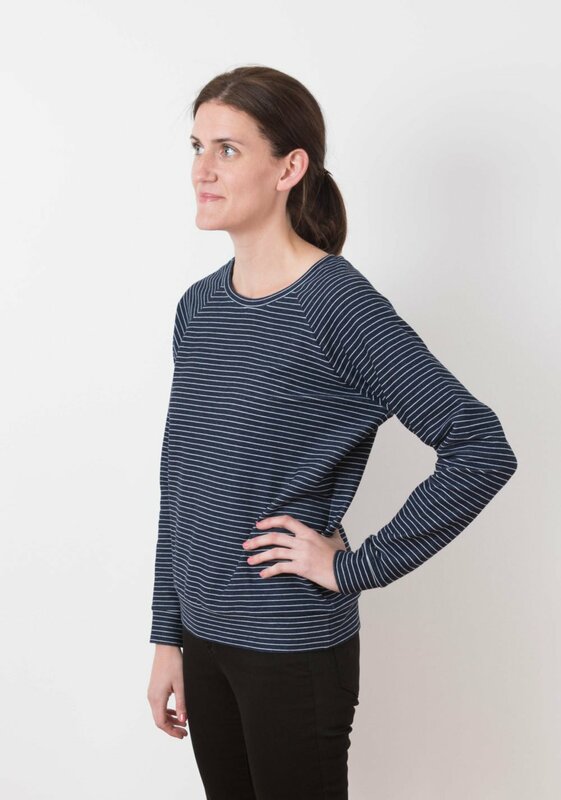 Medium weight knits with a minimum of 20% stretch such as French Terry, Sweatshirt Fleece, Sweater Knits, and MediumWeight Jersey. Extra fabric may be needed to match plaids, stripes, or one way print designs. 2 yards of knit according to the size needed-fabric requirement allows for nap, one-way design or shading. Extra fabric may be needed to match design or for shrinkage. Pick up the pattern at NSV and cut out the top. Bring Serger in good working order and have it set up for 4-thread overlock.